As a beautiful province with a strong economy and plenty of culturalism, it’s no wonder that Ontario is where half of all Canadian immigrants choose to settle. Here are the top ten reasons why newcomers call Ontario home after they move to Canada. Being the most multicultural province in Canada, newcomers have an easier time of adjusting to their new surroundings in Ontario. Toronto, the capital of Ontario, features more than 60 cultural communities offering to make you feel at home. Other large multicultural cities include Ottawa, Mississauga, and Vancouver, each with their own festivals, restaurants, shops and more. Being strategically located in the middle of Canada, Ontario offers a convenient location to travel to and from. Most likely, you will arrive in Ontario via Toronto Pearson International Airport – Canada’s largest airport and the second busiest North American airport. With its extensive list of scheduled and charter flights, more than 174 cities around the world are available via this airport. After settling in Ontario, you may decide you want to see the rest of Canada or even travel into our southern neighbour, the United States of America. Ontario’s well-established transportation methods via air, rail and water will help take you there! As the largest in Canada and the sixth largest in North America, Ontario’s economy keeps residents’ quality of life high. Whereas Alberta, Saskatchewan, and Newfoundland and Labrador are resource-rich provinces, Ontario has a strong, diversified economy. Although the province offers many kinds of work in various industries, Ontario’s strongest industries include manufacturing, finance, tourism, science and the arts. Ontario’s people are its biggest assets, and newcomers only add to that talent base. Canada is known for its natural beauty and the province of Ontario is no different. Whether you want to visit a beach, see some mountains or experience a waterfall, Ontario offers its newcomers all that – and more! Scenic drives and camping opportunities abound while Ontario residents experience Ontario’s landscape, including Ontario’s Great Lakes, which contain almost one-fifth of the earth’s fresh water surface. Besides providing us with fresh drinking water, Ontario’s Great Lakes support a rich ecosystem. There’s no excuse to be bored after moving to Ontario! Ontario is truly a recreational playground and provides a great opportunity to embrace a healthy lifestyle. Each of Ontario’s four seasons offers its own opportunities: winter brings time spent skiing, snowboarding and skating, whereas summer can be spent enjoying our Great Lakes while boating. 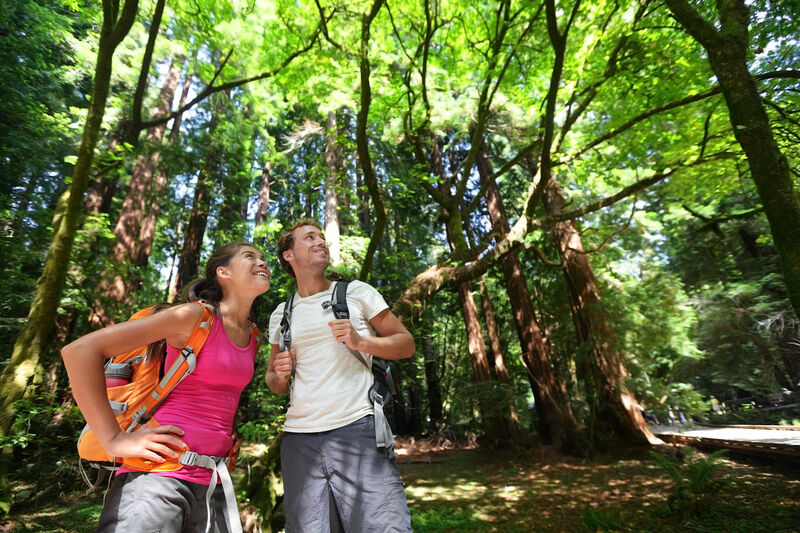 Spring and fall bring amazing opportunities to discover Ontario’s numerous trails, either on foot or on bike. One of the best parts about moving to a new place is discovering what it has to offer – and Ontario does not disappoint. If you’re new to the Mississauga/Toronto area and are just getting to know the city, Platinum Suites provides the perfect place to stay! Available as either a short or long term rental, the fully furnished apartments in Mississauga are conveniently located in the city’s core – close to all the action! Contact Platinum Suites today to learn more about why it’s the best place to stay when you move to Mississauga or Toronto! Perhaps you’re considering making Ontario, Canada home? Let Goldfish Realty help! Goldfish is Platinum Suites’ preferred choice of realtor. Our settlement services can make the adjustment of moving to Canada as seamless as possible. Contact us today for more details.